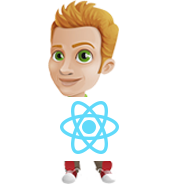 Why hire React.js development company, we are making inroads towards more client base due to our quality of work and the reduced turnaround time to complete our assignments. We have both domestic and international clients to whom we have catered and their continued collaboration is a proven testimonial to our expertise. You begin by identification of the type of React.js developer that you required. You can effective communicate with the React.js developer before making the decision of hiring him. We will monitor the delivery in the background to ensure your needs. Depending on how much work , you can hire on monthly, project or hourly basis. Once you are satisfied, you can start working, and they will send you updates daily. React.js Front End Development Services for all the business SMEs, and upcoming startups. If you have an excellent idea that you want to turn into success, give us a chance to serve you with your desired throughput. Contact us for further queries, we would be happy to help. React.js is extremely efficient: React.js creates its own virtual DOM where your components actually live. It gives you out-of-the-box developer tools: It makes debugging your application much easier.